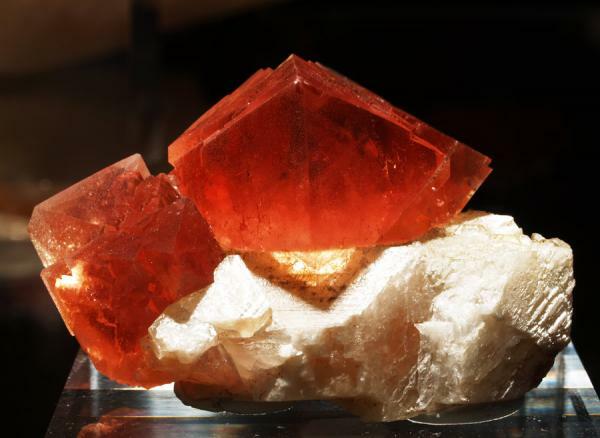 During this last summer it has been place in the Espace Tairraz in Chamonix (France) a very interesting exposition about red-pink Fluorite specimens from Mont Blanc area. Finally I get the permission to take some pictures about this special exposition and the mineral collection. 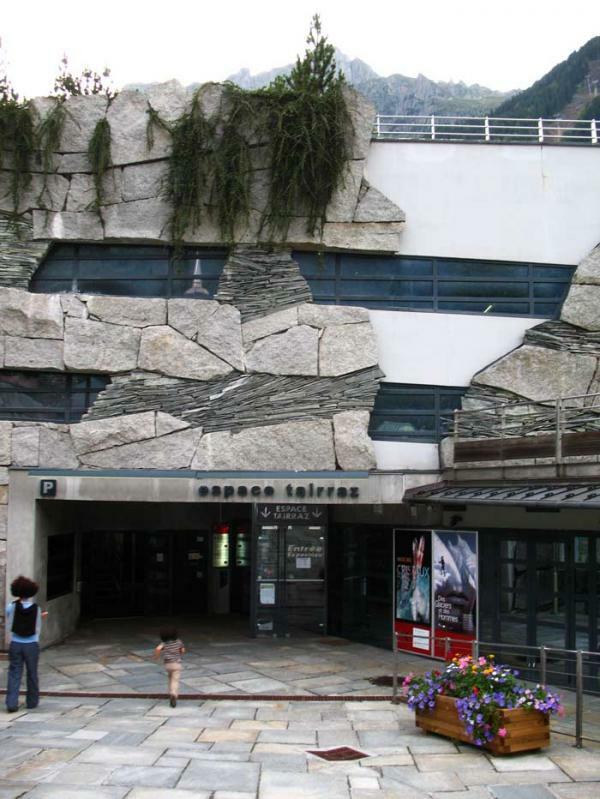 The Museum of the Crystals completes the cultural building of the Espace Tairraz. 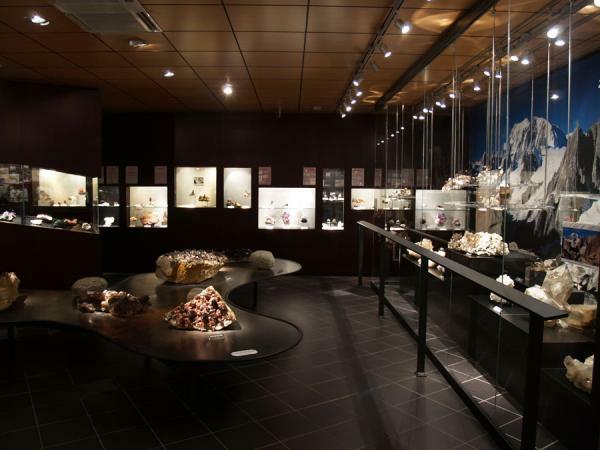 For its achievement, this museum is the culmination of a collaboration between the Mineralogy Club and the city of Chamonix. The museum was opened during 2005 Christmas. 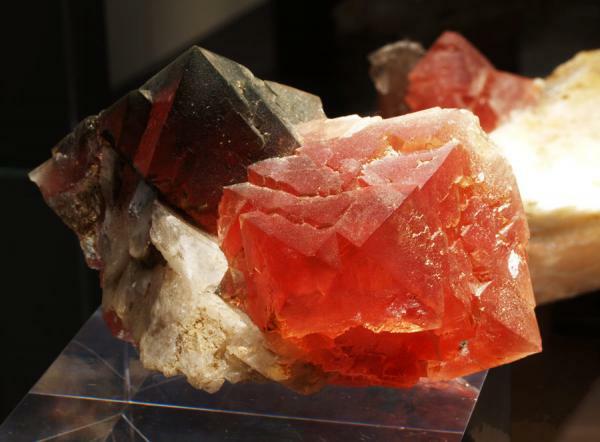 In this really well designed museum you could see the minerals from the Mont-Blanc, known throughout the world, especially smoky Quartz and pink-red Fluorite specimens. 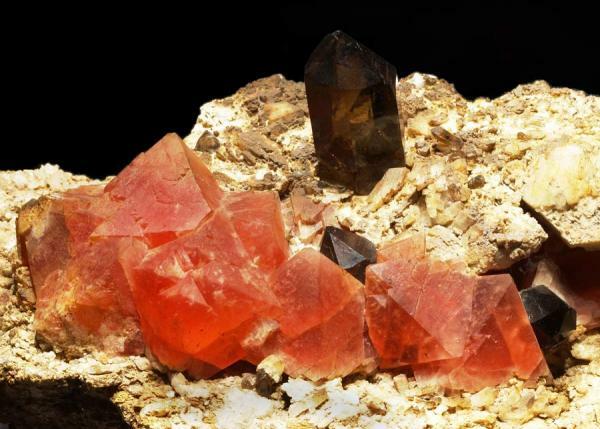 The exhibited specimens are from the collections of the Mineralogy Club, the Alpine Museum (town collection) formed by the "Lesage” collection bought by the municipality and the club and the specimens from many crystall hunters (cristalliers) and mineral collectors. 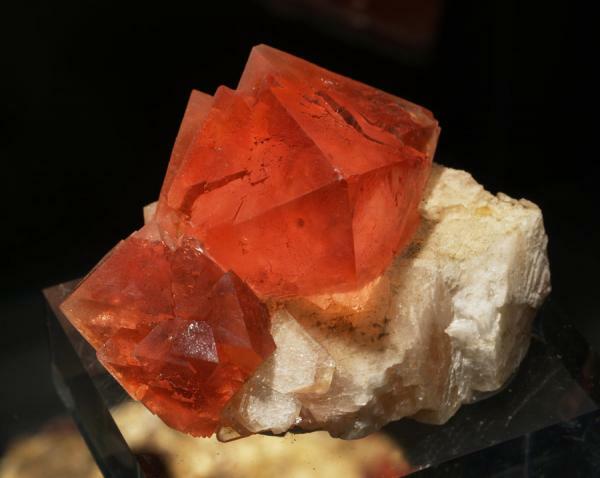 But the museum also displays excellent mineral specimens from all mines and quarries around the French country and minerals worldwide. TO BE CONTINUED...... We will continue with more photos next days. I would like to thanks the kind attention of the Espace Tairraz staff and their help. For more information you could click on this link Espace Tairraz. 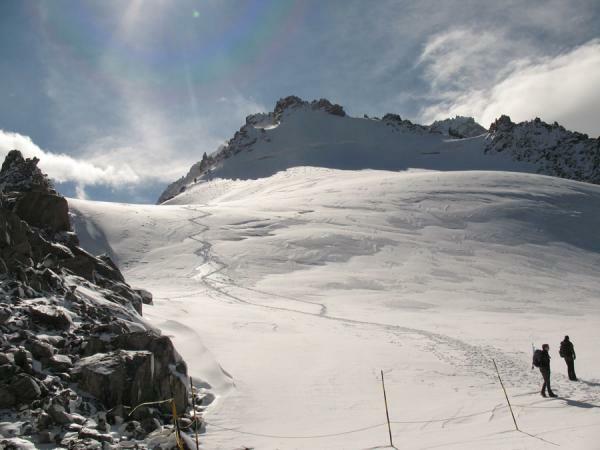 Espace Tairraz (Chamonix Mont-Blanc - France). Fluorite from Mont-Blanc. Roger Fournier find and coll. Size: 9 x 6 x 6 cm. Edge: 3,5 cm. Photo J. Rosell. 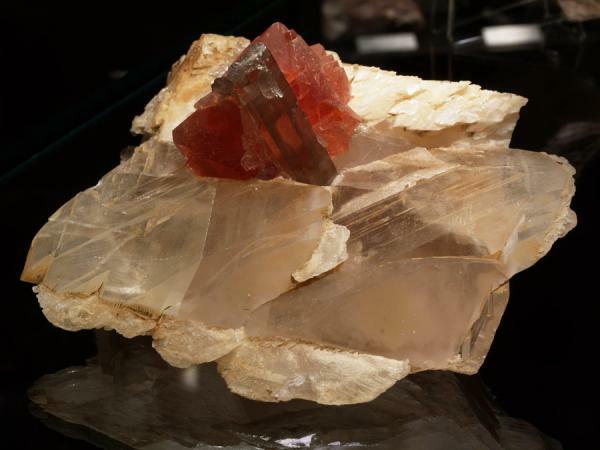 Fluorite with smoky Quartz from Mont-Blanc. Roger Fournier find and coll. Size: 22 x 14 x 17 cm. Field of view: 14 cm. Photo J. Rosell. 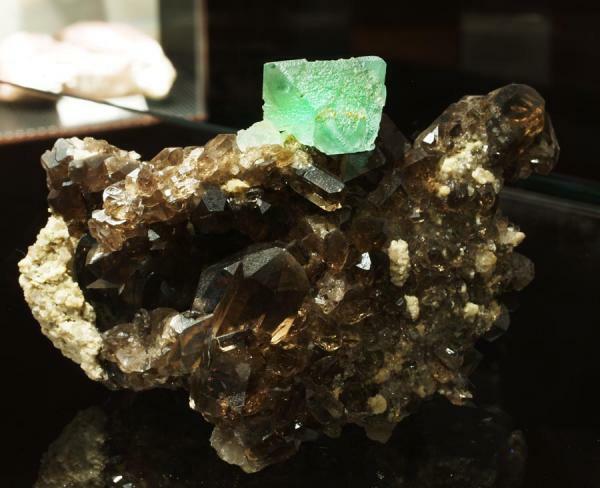 Fluorite from Aigulle Verte area (Mont-Blanc, 2007). C. Lelievre, M. Bibollet-Ruche and F. Eva. Size: 6,5 x 4,5 x 3,5 cm. Main edge: 3 cm. Photo J. Rosell. The Aigulle verte area. Photo J. Rosell (09/2008). 3300m. Fluorite from Aigulle Verte area (Mont-Blanc, 2007). C. Lelievre, M. Bibollet-Ruche and F. Eva. Size: 10 x 7 x 6 cm. Main edge: 3,5 cm. Photo J. Rosell. Fluorite from Aigulle Verte area (Mont-Blanc, 2007). C. Lelievre, M. Bibollet-Ruche and F. Eva. Size: 8 x 7 x 7 cm. 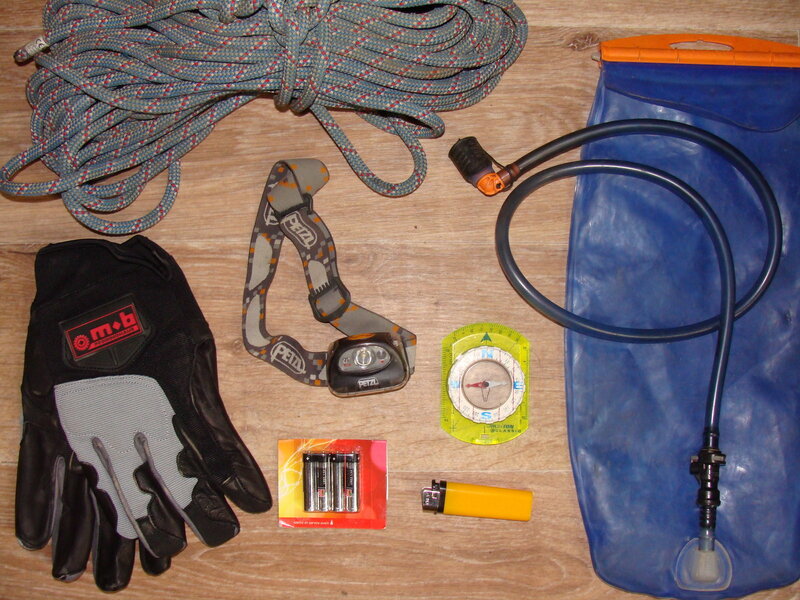 Main edge: 5 cm. Photo J. Rosell. Gemmy cutted Fluorite crystal. 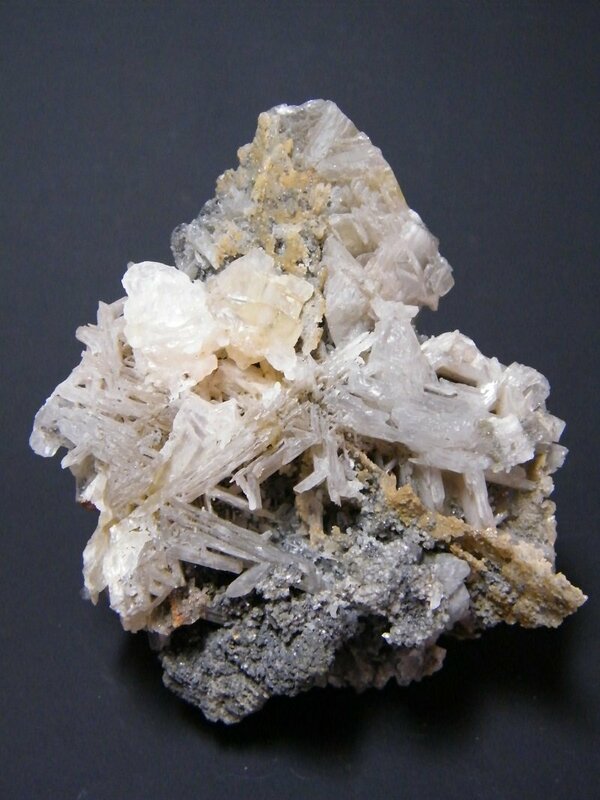 Obtained from the Fluorites of Aigulle Verte area (Mont-Blanc). Size: 3,5 x 2 cm. Photo: J. Rosell. Exceptional and very rare green octahedron Fluorite on smoky Quartz from Les Courtes, Massif du Mont-Blanc (1992). 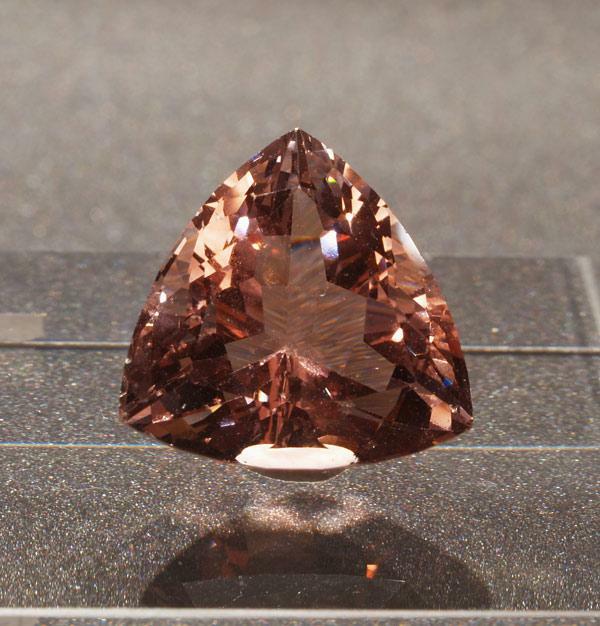 From J-F Charlet, R. Ghilini and D. Lagarde, Musée Alpin coll. 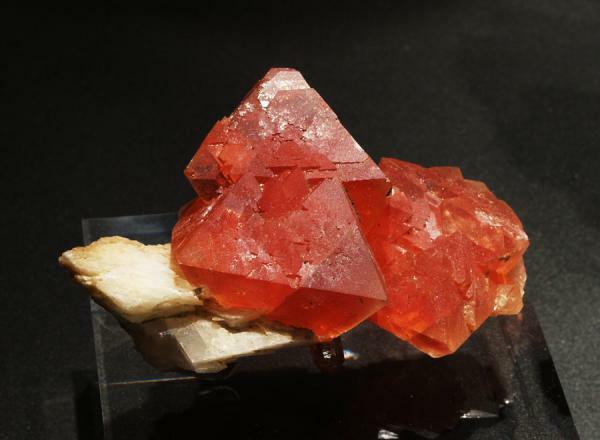 Crystal size: 3,5 x 3,5 cm. Photo: J. Rosell.